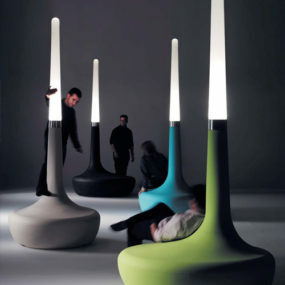 We love the Aqua Cil Table Lamp by Ross Lovegrove from Artemide! 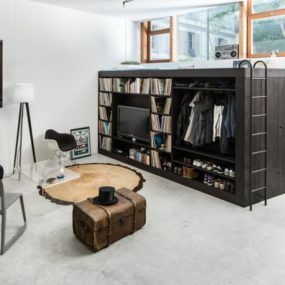 It’s got a real ‘wow’ factor… although so simple it boasts a totally elegant structure. 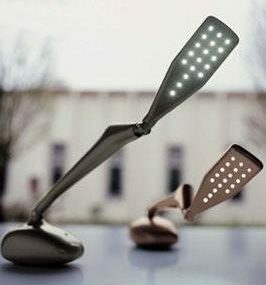 It’s unusual to find a lamp made from almost entirely from die-cast aluminium (the stem is steel). 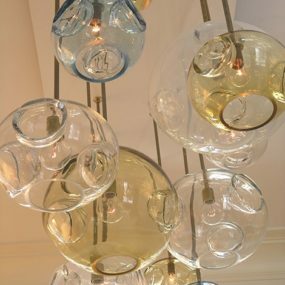 Unexpectedly, the lampshade reflects the light waves, rather than simply allowing them to shine through (as in the case of glass shades). 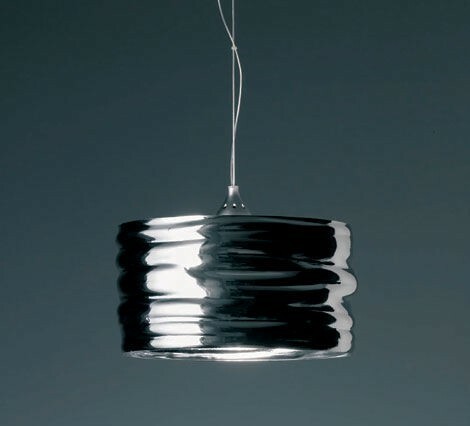 Artemide put it rather well: ‘The reflective properties of the material create an effect of dematerialization of the physicality of the object’. 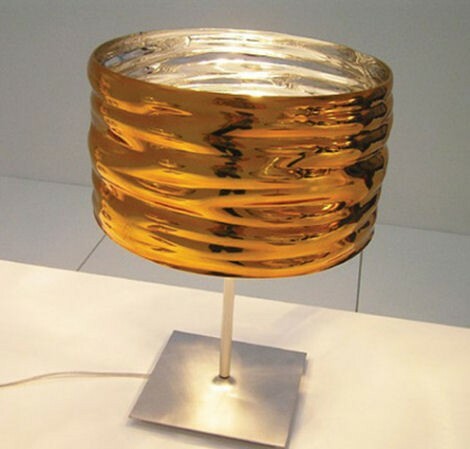 Available in opaque chrome, polished chrome, metallic polished orange, and metallic polished blue, the Aqua Cil table lamp offers a bright focal point for any contemporary setting. 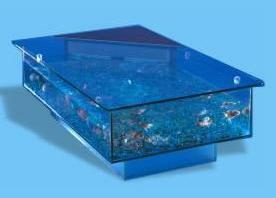 Carry the look around the room with matching table, floor and suspension options. 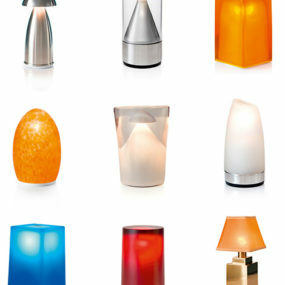 You won’t regret investing in this modern classic from Artemide, the Aqua Cil table lamp. 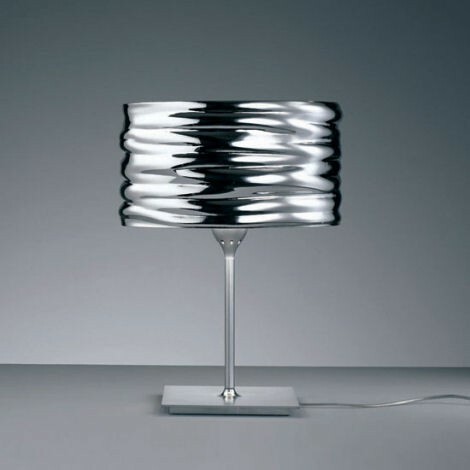 Adore Ross Lovegrove designs? Try the Vitra Bathroom Suite on for size! 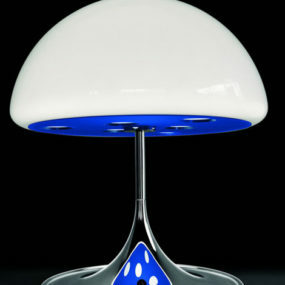 Magic Table Lamp from Martinelliluce – let the Mico lamp cast a magical spell over you! 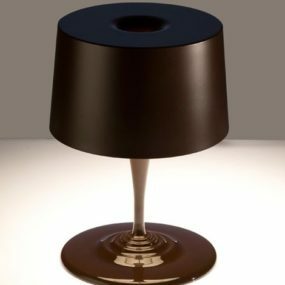 Modern Table Lamp from Nemo (Cassina) – new Chocolate lamp for Christmas!